Peachtree Center is like no place else on earth. It is where Atlanta’s own innovative modern architectural master, John C. Portman Jr., built the future, using breakthrough architectural, engineering, and urban design innovations. The unique fourteen-block, pedestrian-oriented, city-within-a-city, aspired to be the most modern place on the planet. 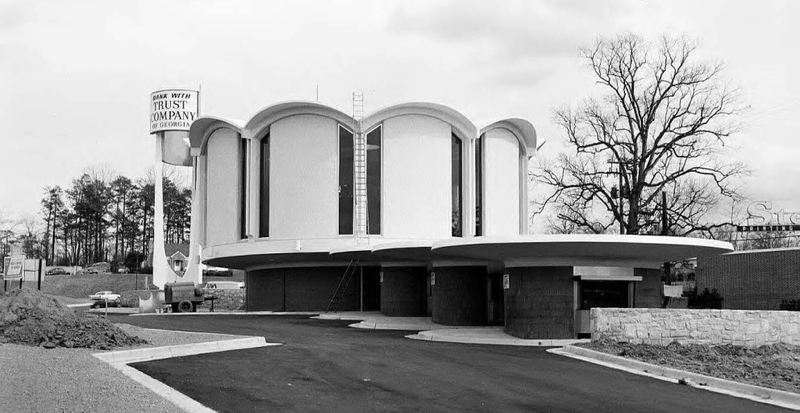 Join Docomomo US/GA this Tour Day for an exclusive tour including drawings, models and spaces rarely seen by the public. The tour includes the three spectacular hotel Atrium's, the Hyatt Regency Atlanta, Westin Peachtree Plaza, and Marriott Marquis Atlanta, along with the first integratred restaurants in the United States and other locations not ordinarily open to the public.